Belgian chemicals firm Ravago Group has signed an MOU with state-owned Abu Dhabi National Oil Company (Adnoc) to build and operate a polyolefins compounding facility in Ruwais Industrial Complex near the UAE capital. The agreement was signed at Adnoc’s Downstream Investment Forum, where the Abu Dhabi firm said it intends to invest US$45 billion over the next five years to expand its refining and petrochemicals operations, as it strives to become a global player in the downstream sector. The companies said they will discuss further opportunities to unlock value and growth within the petrochemical value chain as part of Adnoc’s downstream expansion. 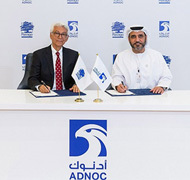 Adnoc also intends to explore ways to upgrade and commercialise the non-prime product generated at Borouge, the joint venture between Adnoc and Austria-based Borealis. 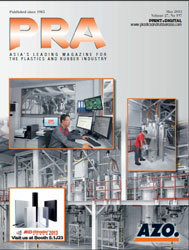 Compounding will take place at the proposed facility in the Ruwais. With 4.5 million tonnes/year of capacity, Borouge is the world’s largest integrated polyolefin complex, with the ambition to more than double its current capacity by 2025. Both companies will also explore potential collaboration opportunities leveraging Ravago’s strengths across multiple areas to further unlock value within the petrochemical chain. The Ruwais Industrial Complex, where the new potential venture will be located, is already home to one of the largest downstream sites in the world, he stated. Adnoc aims to further develop and expand Ruwais into the world’s largest integrated refining and petrochemicals complex, that will also include a large-scale, integrated manufacturing ecosystem, through the creation of new petrochemicals derivatives and conversion parks. 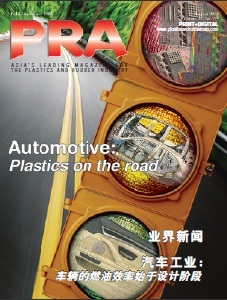 Ravago operates 24 plants across four continents, producing plastics, rubbers and chemicals, serving the automotive, electronics, and building and construction industries through the company’s global distribution network.